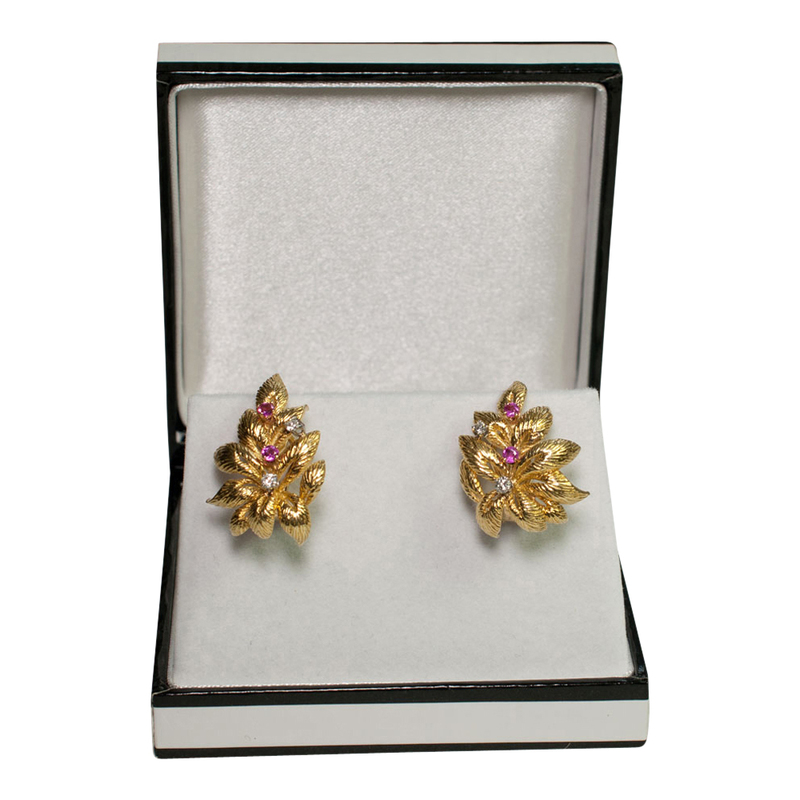 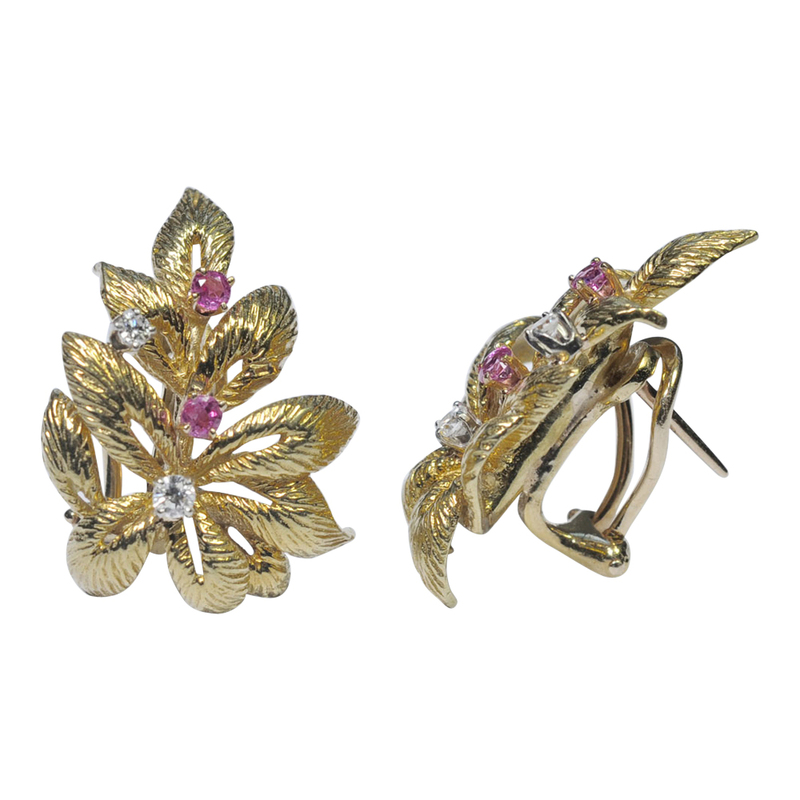 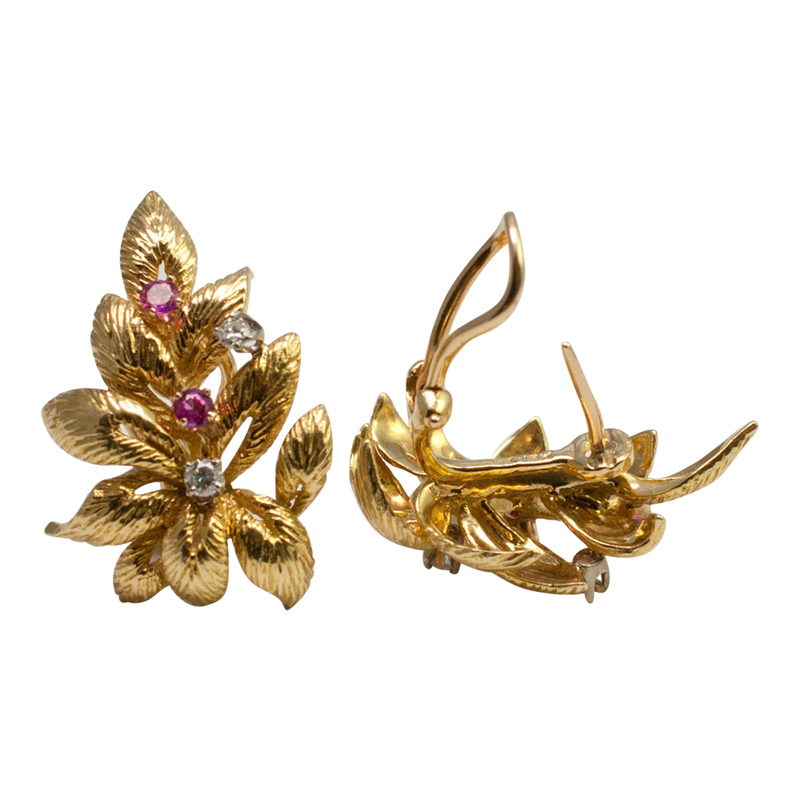 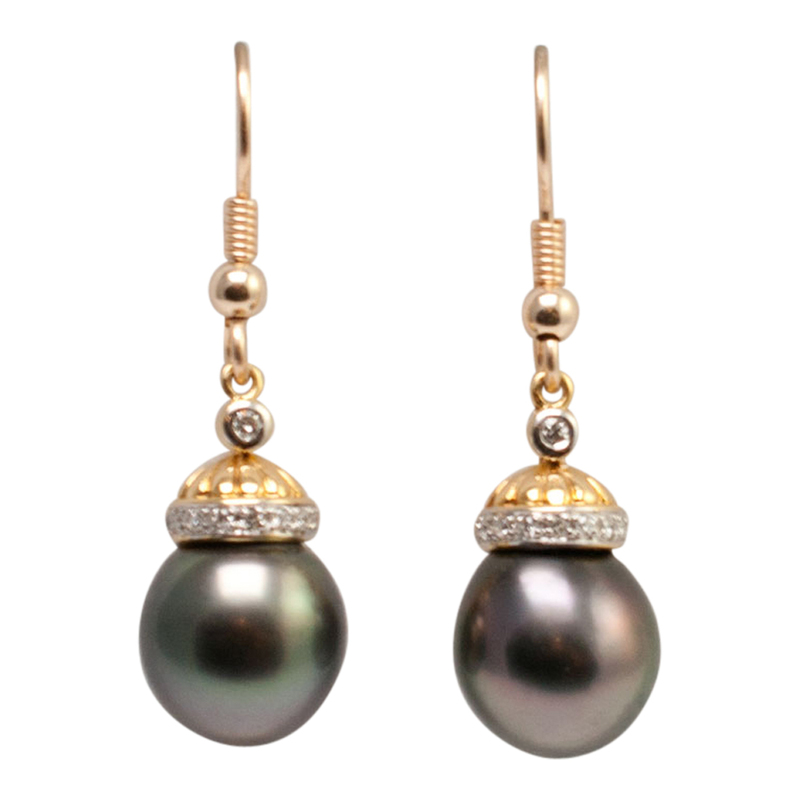 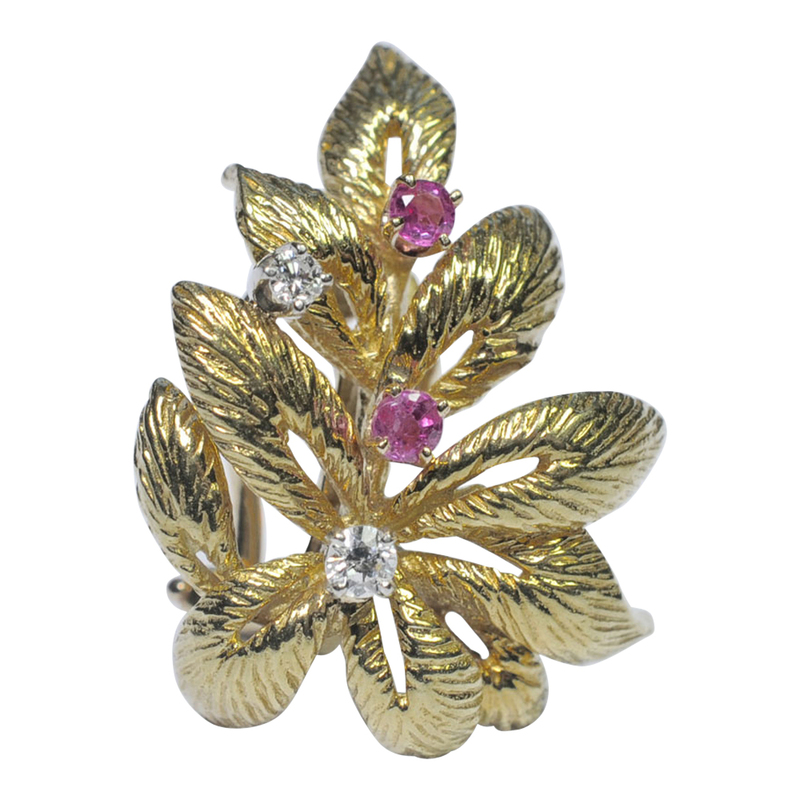 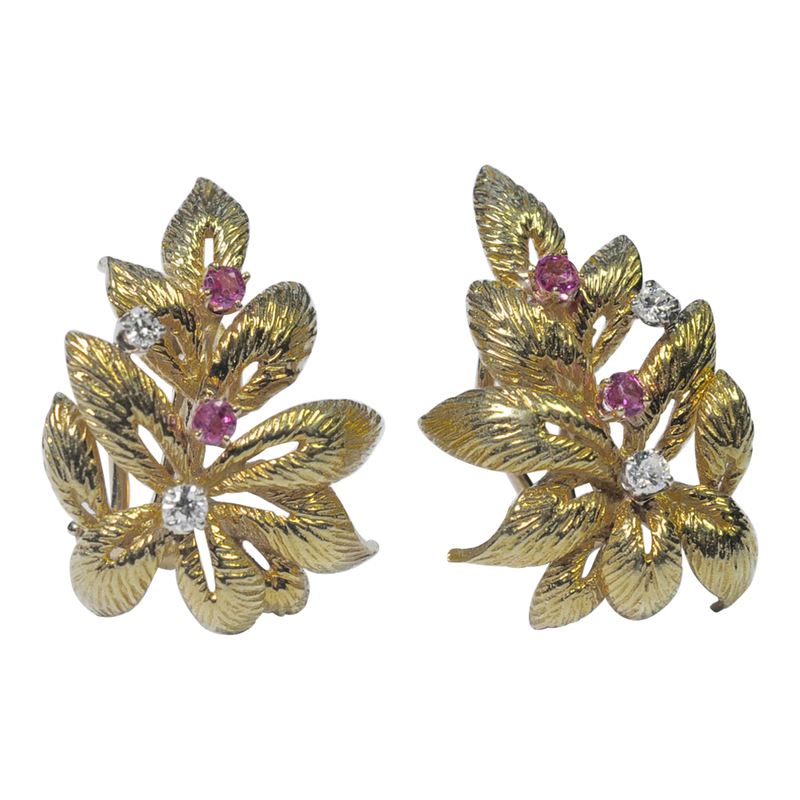 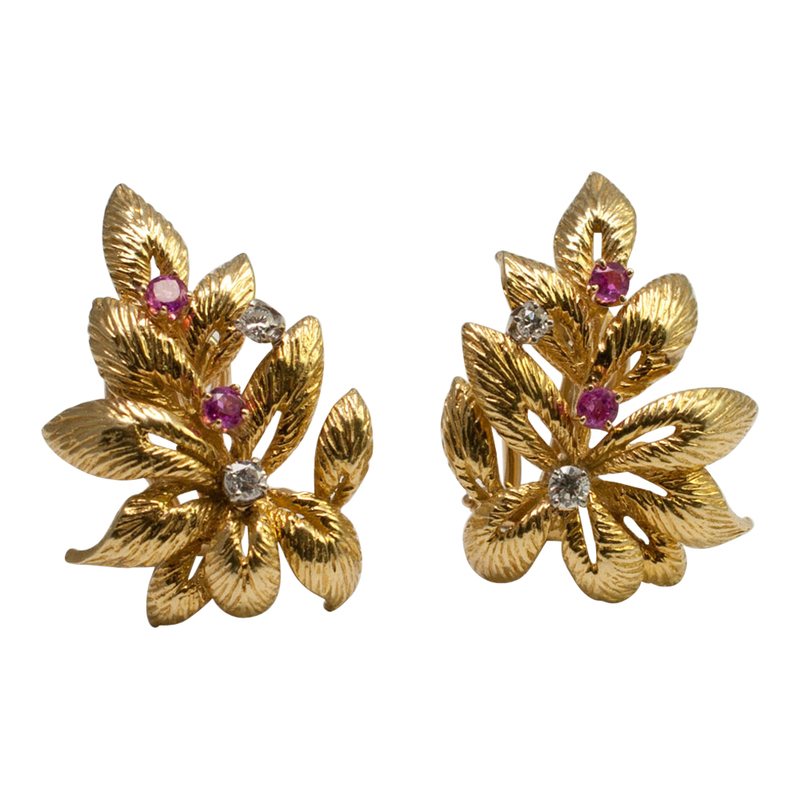 Stylish vintage gold leaf design earrings set with rubies and diamonds; the leaves are intricately carved and each earring has two rubies and two brilliant cut diamonds, and mounted with a clip and post for added security. 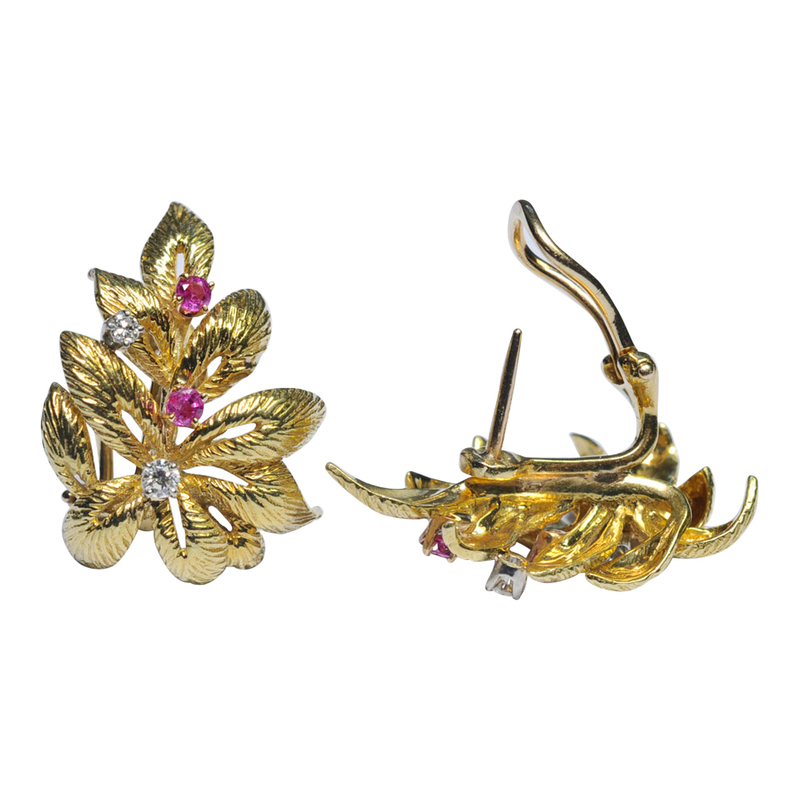 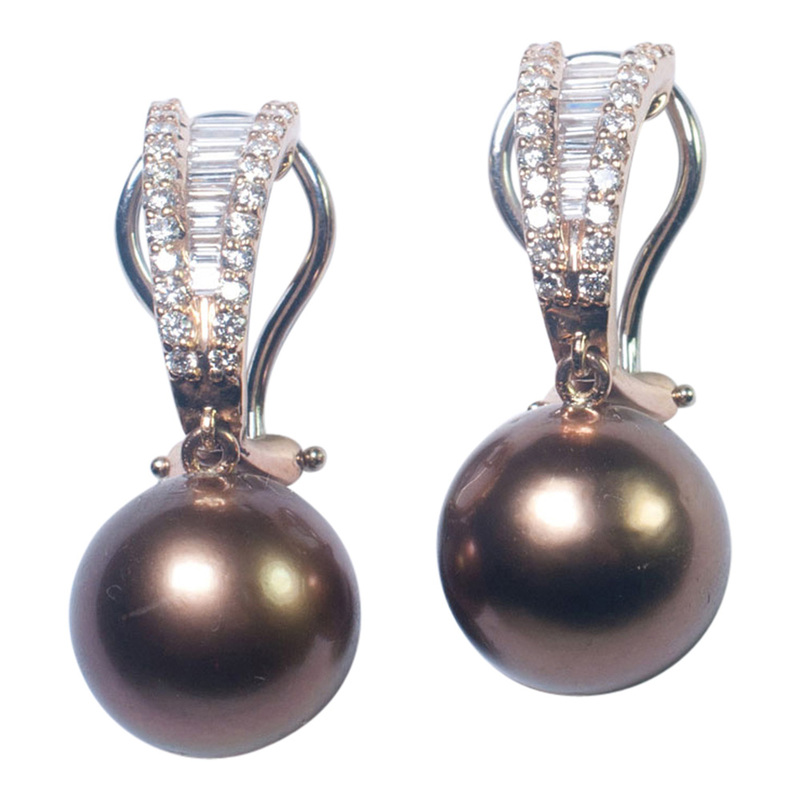 Weight 15.5gms; measurements 3cms long x 1.75cm wide. 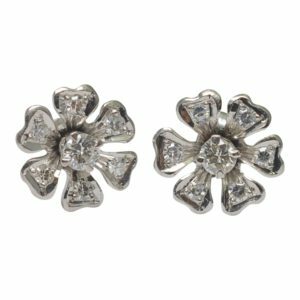 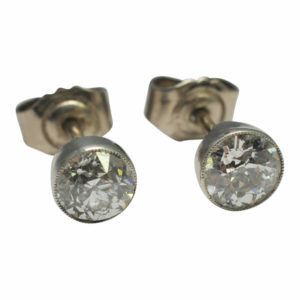 The earrings are stamped 18k, the clips and posts are stamped 14k.